Maximum penalties for OSHA violations are set to increase for the first time since 1990 as part of overall federal penalty adjustments mandated by Congress last year. The increases were announced Thursday by the Department of Labor, which issued two interim rules covering penalty adjustments for several DOL agencies, including OSHA, the Mine Safety and Health Administration and Wage and Hour Division. OSHA’s new penalty levels will take effect after Aug. 1, when the maximum penalty for serious violations will rise from $7,000 to $12,471. The maximum penalty for willful or repeated violations will increase from $70,000 to $124,709. Any citations issued by OSHA after Aug. 1 will be subject to the new penalties if the related violations occurred after November 2, 2015. 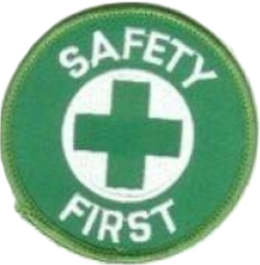 OSHA will provide guidance to field staff on the implementation of the new penalties by Aug. 1. In November 2015, Congress enacted legislation requiring federal agencies to adjust their civil penalties to account for inflation. The Department of Labor is adjusting penalties for its agencies, including the Occupational Safety and Health Administration (OSHA). OSHA’s maximum penalties, which were last adjusted in 1990, will increase by 78%. Going forward, the agency will continue to adjust its penalties for inflation each year based on the Consumer Price Index. The new penalties will take effect after August 1, 2016. Any citations issued by OSHA after that date will be subject to the new penalties if the related violations occurred after November 2, 2015. To provide guidance to field staff on the implementation of the new penalties, OSHA will issue revisions to its Field Operations Manual by August 1. To address the impact of these penalty increases on smaller businesses, OSHA will continue to provide penalty reductions based on the size of the employer and other factors. States that operate their own Occupational Safety and Health Plans are required to adopt maximum penalty levels that are at least as effective as Federal OSHA’s. OSHA offers a variety of options for employers looking for compliance assistance. The On-site Consultation Program provides professional, high-quality, individualized assistance to small businesses at no cost. OSHA also has compliance assistance specialists in most of our 85 Area Offices across the nation who provide robust outreach and education programs for employers and workers. For more information, please contact the Regional or Area Office nearest you. WASHINGTON – In 2015, Congress passed the Federal Civil Penalties Inflation Adjustment Act Improvements Act to advance the effectiveness of civil monetary penalties and to maintain their deterrent effect. The new law directs agencies to adjust their penalties for inflation each year using a much more straightforward method than previously available, and requires agencies to publish “catch up” rules this summer to make up for lost time since the last adjustments. As a result, the U.S. Department of Labor announced today two interim final rules to adjust its penalties for inflation based on the last time each penalty was increased. The first rule will cover the vast majority of penalties assessed by the department’s Employee Benefits Security Administration, Mine Safety and Health Administration, Occupational Safety and Health Administration, Office of Workers’ Compensation Programs, and Wage and Hour Division. The second rule will be issued jointly with the Department of Homeland Security to adjust penalties associated with the H-2B temporary guest worker program. Under the 2015 law, agencies are directed to publish interim final rules by July 1, 2016. The department will accept public comments for 45 days to inform the publication of any final rule. The new method will adjust penalties for inflation, though the amount of the increase is capped at 150 percent of the existing penalty amount. The baseline is the last increase other than for inflation. The new civil penalty amounts are applicable only to civil penalties assessed after Aug. 1, 2016, whose associated violations occurred after Nov. 2, 2015. OSHA’s maximum penalties, which have not been raised since 1990, will increase by 78 percent. The top penalty for serious violations will rise from $7,000 to $12,471. The maximum penalty for willful or repeated violations will increase from $70,000 to $124,709. OWCP’s penalty for failure to report termination of payments made under the Longshore and Harbor Workers’ Compensation Act, has only increased $10 since 1927, and will rise from $110 to $275. WHD’s penalty for willful violations of the minimum wage and overtime provisions of the Fair Labor Standards Act will increase from $1,100 to $1,894. 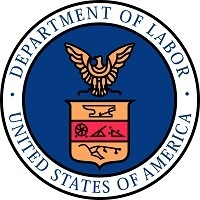 A Fact Sheet on the Labor Department’s interim rule is available here. A list of each agency’s individual penalty adjustments is available here.